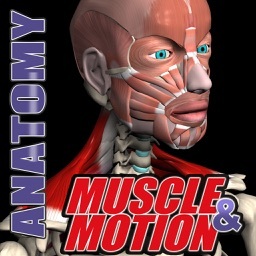 This free application provides an in-depth reference guide of the Human Muscular Anatomy featuring high quality detailed content and images in a well presented and easy to navigate way. 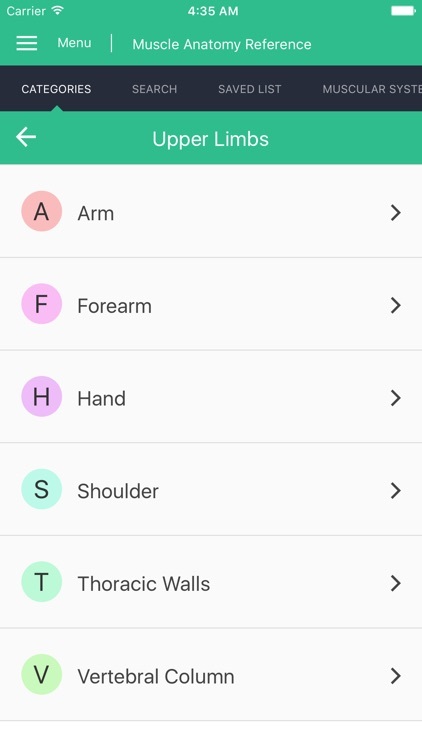 This apps covers information about each muscle in the human body and splits them up into 5 categories: Head, Neck, Torso, Upper Limbs and Lower Limbs. 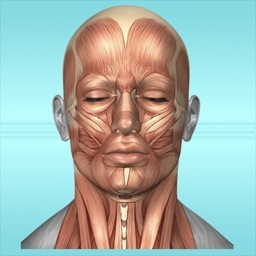 The Head category includes muscle information from the Ear, Mouth, Nose, Larynx, Forehead and more. 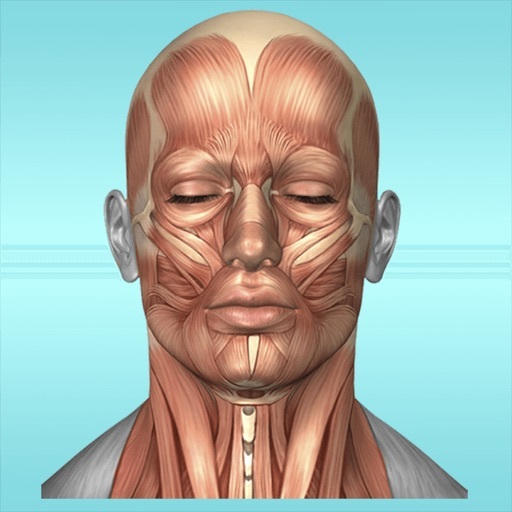 The Neck category includes muscle information from the Clavicular, Infrahyoid, Suprahyoid and in depth details about the Anterior, Lateral, Posterior neck muscles. 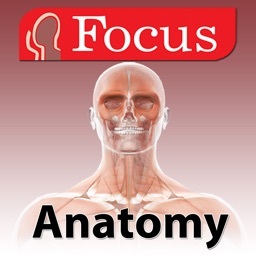 The Torso category includes muscle information from the Abdomen, Back, Chest and Pelvis. 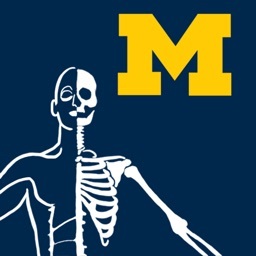 The Upper Limbs category includes muscle information from the Arms, Forearm, Hand, Shoulder, Thoracic Walls and Vertebral Column. 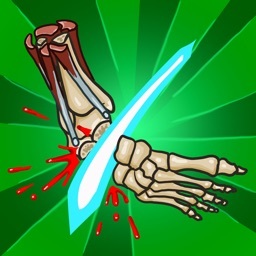 The Lower Limbs category includes muscle information from the Foot, Gluteal, Iliac Region, Leg and Thigh. 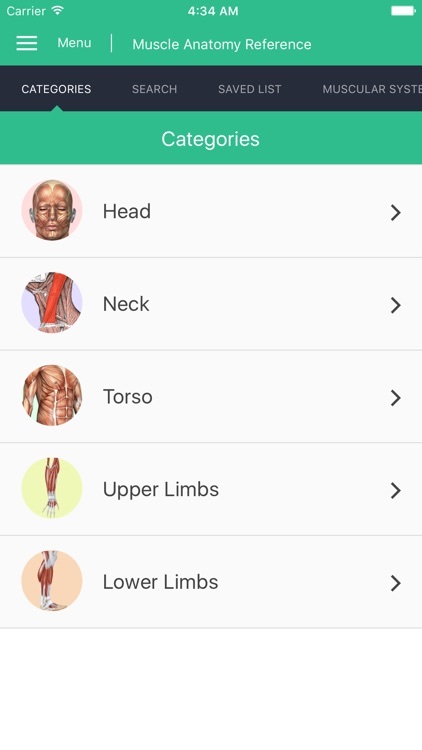 This app allows you to search for and save your selected muscle topic for quicker access helping you to study the various muscle in a more intuitive manner. 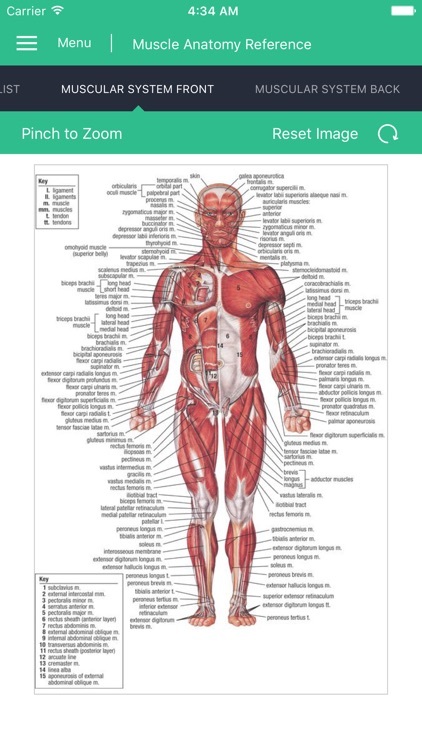 Included are detailed images of the Muscular System Front, Muscular System Back, Arms, Shoulders, Leg, Back, and the Thoracic Wall. 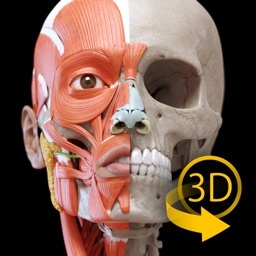 You can also pinch to zoom to get a closer look at the muscle structure and information. 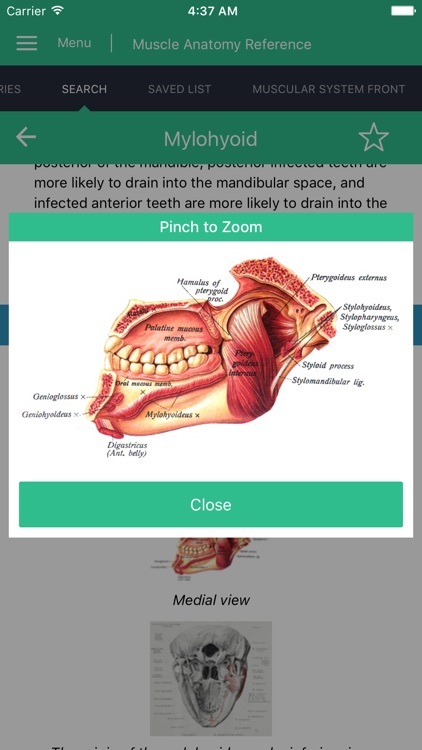 Each muscle article includes various images that when tapped on will show an enlarged version of the image allowing you to take a closer look at the muscle. 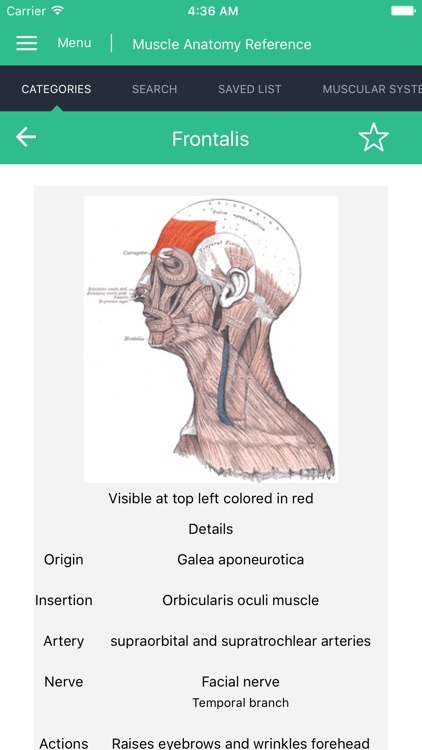 The source data used for the category information is from Wikipedia.